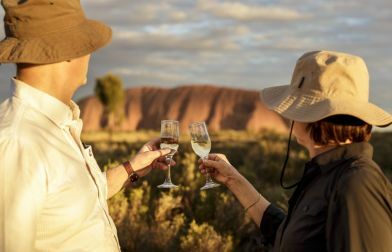 This scenic landscape of rugged ranges, ancient sandstone walls rising hundreds of metres to a plateau of rocky domes, rock holes and gorges in the Watarrka National Park is breathtaking. 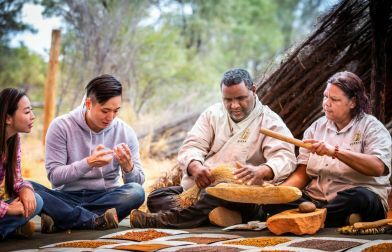 The Luritja Aboriginal people have called the Watarrka National Park area home for more than 20,000 years. 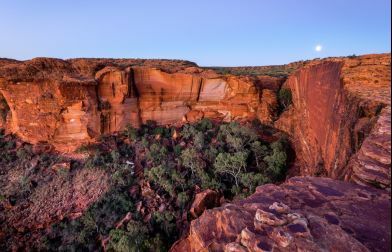 The ancient red rock faces that soar above dense palm forests of palms is an important conservation area and refuge for more than 600 species of native plants and animals. 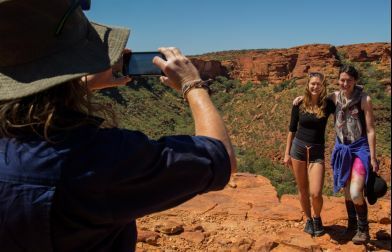 Enjoy one of the many walks within the National Park, the six kilometre Kings Canyon Rim Walk takes approximately 3-4 hours but the view down the sandstone chasm plunging 270 metres to the canyon floor definitely makes it worthwhile. 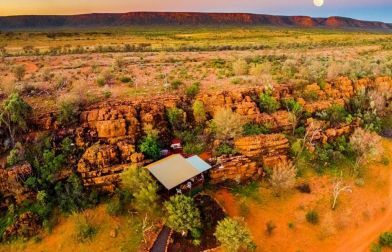 Venture down into the canyon to the exotic Garden of Eden, a permanent waterhole surrounded by lush cycads and plant life, indicating that this part of Australia once had a much more tropical climate. 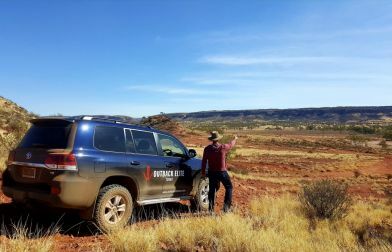 Explore the unusual weathered rock formations that are called the Lost City carved out over time by water and wind erosion. 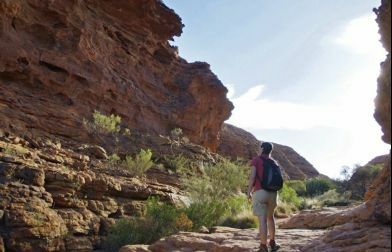 For the less energetic, the shorter and easier Kings Creek Walk at the base of the canyon leads you through lush ferns and eucalypts to a platform with views of the sheer canyon walls above. 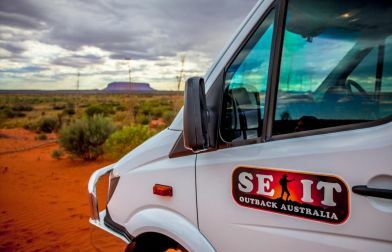 And for the more adventurous the 22 kilometres Giles Track connects Kings Canyon to Kathleen Springs, a delightful spring fed waterhole. 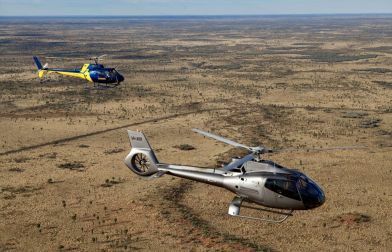 If walking isn’t your thing, appreciate the true beauty and grandeur of Kings Canyon from above on a scenic helicopter flight. 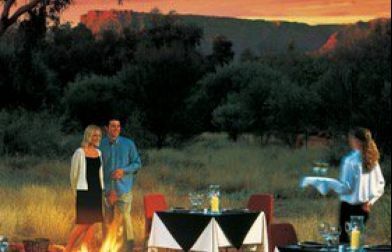 Kings Canyon Resort accommodation ranges from deluxe hotel rooms to budget backpacker-style lodge rooms, as well as caravan and camping facilities. 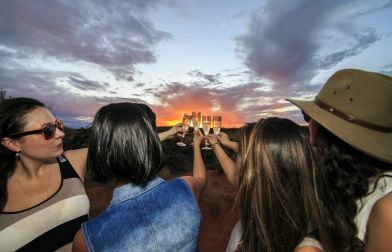 After a day of exploring you don’t want to miss Under the Moon, a dining experience set under the southern night sky accompanied by a menu focusing of the fresh and local produce of Australia. 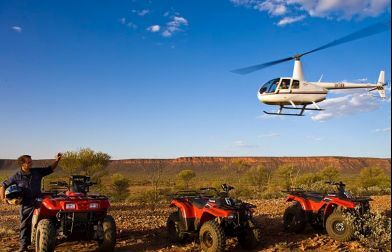 36 kilometres from Kings Canyon, Kings Creek Station offers you the opportunity to discover a working cattle station by helicopter, camel or quad bike. 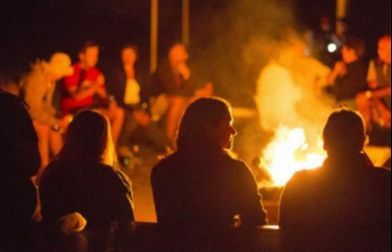 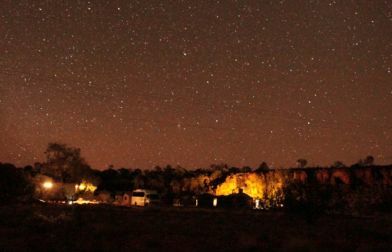 Camping and accommodation facilities are available at Kings Creek Station. 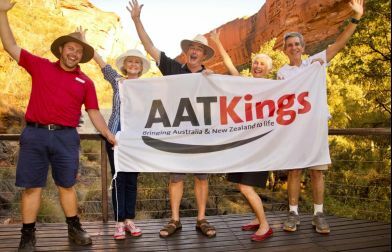 Kings Canyon is approximately 300 kilometres north east of Uluru and 450 kilometres south west of Alice Springs. 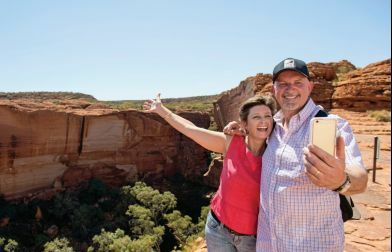 The Red Centre Way drive connects Alice Springs, Uluru and Kings Canyon. 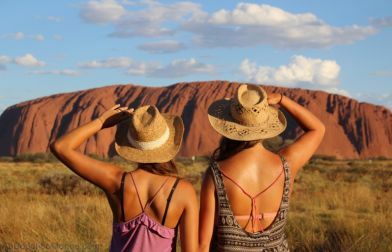 It can be explored on a self-drive itinerary or by an organized coach or private tour.